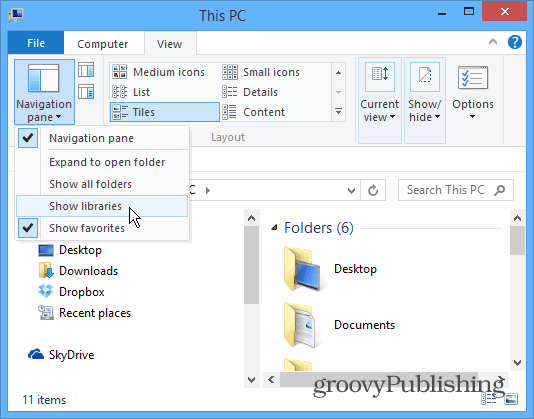 Microsoft first introduced the Libraries feature in Windows 7 and continued in Windows 8. This is an underutilized feature that allows you to organize your data easily that’s located across external, internal, and network drives. 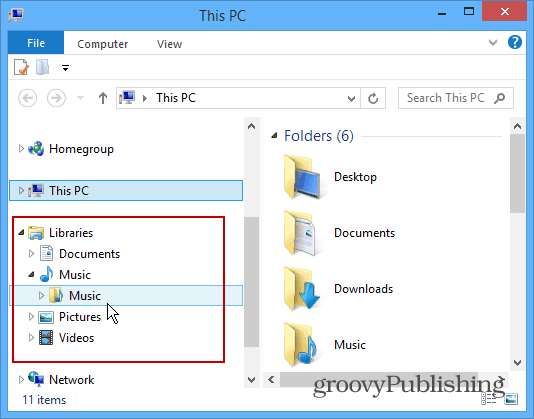 In the Windows 8.1 update, the company has removed the Libraries from File Explorer. 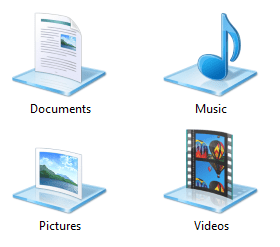 They still exist in the new OS though, they’re hidden and you just need to make Windows display them. 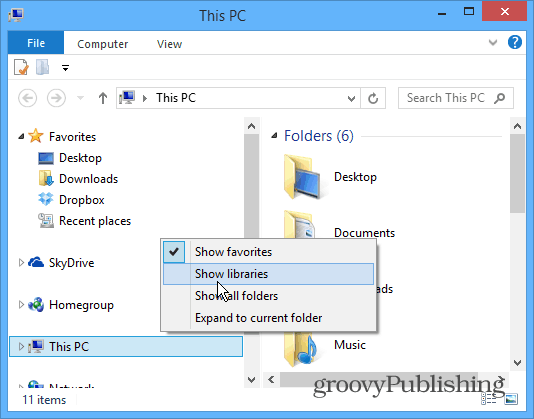 Open File explorer on the desktop and right-click an empty area in the left pane. From the menu select Show Libraries. Viola. There they are. They will continue to display unless you uncheck the option again later. Alternately, from the explorer ribbon select the View tab and click Navigation Pane > Show Libraries. If you’re not a fan of Libraries, check out how to make File Explorer open to a location other than libraries. Thanks for this. I’ve brought Libraries back now, but they’re pretty much at the bottom of the heap and not of great use now as I always have to scroll down quite some way. Do you know how to make them first, or after Favourites, on the left-hand side?